Hair Salon themes has been purchased 36, rating: 4/5 based on 3 reviews. 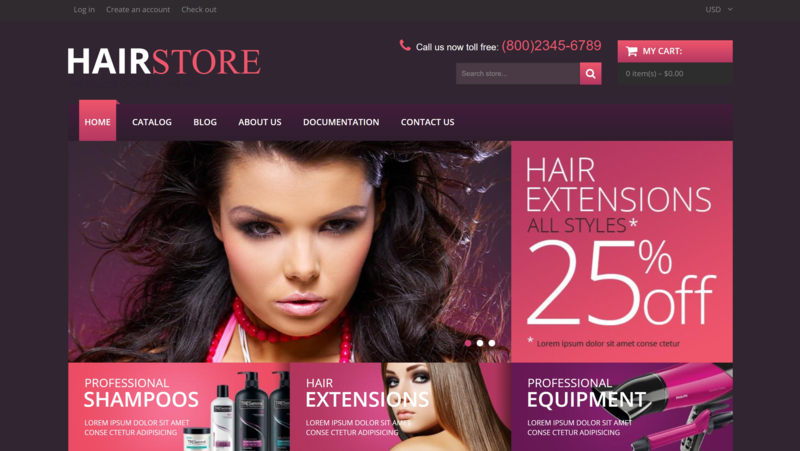 Hair Salon Responsive Shopify Theme, which is designed by the ZEMEZ team, is a well-fitted theme for various stores of hair salon equipment or hairdresser. In details, to effectively promote your online services, the look of this Shopify theme is designed as clean and simple, but also professional. We offer you our premade design templates but you are completely able to design a new look for your store site with our assistant coding and comprehensive guidance. Take advantage of installing Hair Salon Theme today!